Of all of the Marvel movies releasing over the past few years, many people were surprised to see that Deadpool became one of the most successful. Not only did the superhero comedy film become the highest-grossing R-rated movie of all time, but it also popularized one of Marvel's best characters, who until then was not much more than an inside-joke for Marvel Comics fans. 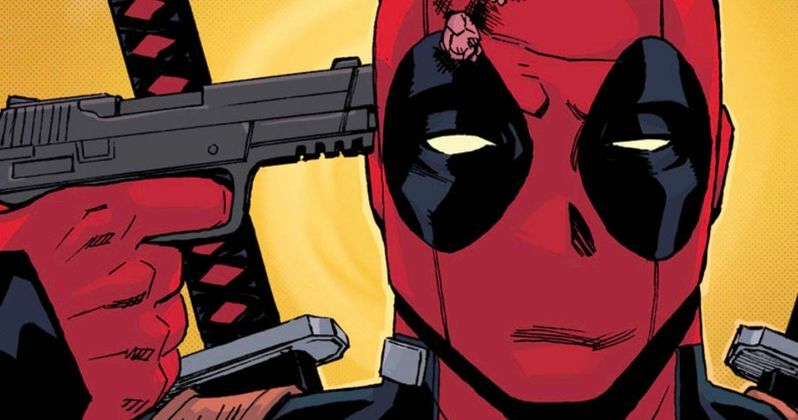 Following the rise in popularity of the Merc with the Mouth, FX announced last year that they would be creating an adult-oriented, animated Deadpool TV series. Atlanta showrunner and star Donald Glover was set to helm the series, along with his brother Stephen Glover. Over the last year, the Glover brothers have been hard at work with FX to develop the best series they could. Unfortunately, it would appear that their hard work has all gone to waste. Over the weekend, FX announced in a statement the cancellation of the show, which was set to premiere later this year. "Due to creative differences, FX, Donald Glover, Stephen Glover and Marvel Television have agreed to part ways on Marvel's Deadpool animated series," FX said in their statement. "FX will no longer be involved with the project. FX and Marvel have an ongoing relationship through our partnership on Legion, which will continue." This is bad news for everyone who was heavily anticipating the release of this show, including myself. Deadpool occasionally appeared in the Ultimate Spider-Man TV series, and he frankly was the best part of the show, despite being limited to the TV-Y7 rating. Seeing Deadpoolreturn to animated TV, but under TV-MA guidelines, would've been a true delight for all of the character's many fans. In hindsight, it shouldn't be too surprising that the project fell apart. Showrunner Donald Glover likely didn't have enough time to focus on the project over the past year, considering his significant role in Solo: A Star Wars Story, which about doubled its production time, and his leading role for next year's The Lion King reboot. With so much on his plate, Deadpool was probably not the highest of priorities, which is why the series kicked the bucket. Looking forward, the possibilities of a Deadpool animated series are not completely over. While FX has stopped active development of the series, it is possible they could still bring it back if a more fitting showrunner is discovered. Furthermore, when and if the Disney / FOX deal is brought to a close, Disney and Marvel Television may wish to further the series' development, with or without the Glover brothers. With Deadpool 2 on the near horizon, and hopefully more Deadpool-related entities set to follow, there will still be plenty of Wade Wilson to go around, despite the show's sudden downfall. Additionally, if Deadpool 2 is anywhere near as successful as the original film, FX may realize how cost-effective it would be to revamp their developed plans for the series and get back to work on delivering the animated show. However, it is best not to get our hopes up, as the possibilities of an animated Deadpool series have become significantly less likely.